100 Words, 100 Days, Day 1: On Word Games | What I think About When I Think About Writing. 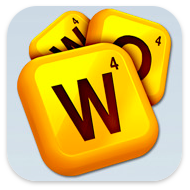 The object of word games is to bamboozle your opponent with your dazzling skills, impressing them with your ability to place high-scoring letters in triple letter tiles and/or triple or word scoring tiles. Having a dictionary close at hand is advisable. Every now and again you’re going to need something to throw at the wall when your opponent plays a blinder; like using a Q to make qi, qis, qat, qats or suq. Word games can also be used as an excuse when one should be writing. It is better to bamboozle your readers than players. What do you think? This entry was posted in 100 Days, writing and tagged Scrabble, Word Games, Words With Friends, writing. Bookmark the permalink. I think all new writers go through a stage where the use of complex language, or multi-syllable words serve as marking territory… showing off. But in the long-run, isn’t it about communication? If we want our readers to come back, to keep reading, we do not want them felt belittled, we want them intrigued. Wise words from the master himself. I hope you’re keeping well, sir. It’s nice to be back. Brilliant, sir, very meta to have your first writing exercise be about writing. You just blew my mind. Glad to see you back behind the keyboard. I’ve got loads planned for future posts, including a poem/ditty of sorts for tomorrow. Welcome back, James! Hope to see more of your around these parts.